We produce high quality CDs and DVDs in full packaging with print to the face of the disk and data duplicated or replicated for long runs. We will deliver to local Melbourne addresses, Sydney, Canberra, Hobart, Brisbane, Adelaide, Tasmania and Perth or anywhere in Australia - DELIVERY IS FREE. We want to give you the best price and quickest turnaround time possible. The prices you see are based on you the customer supplying us print ready artwork and a master DVD, ordering online and paying by one of the methods with your order. We’ll start production and courier your disks to you ASAP. 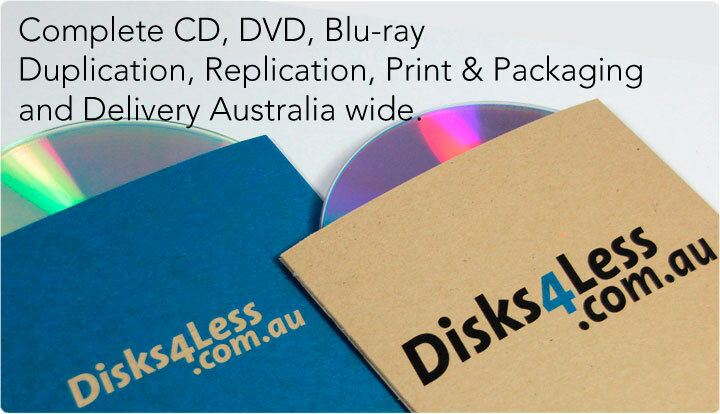 We offer CD and DVD Replication and Duplication services. Or just a print to blank disk service.